Road-food trip with my dad. We are big Tacos and SF Giants fans. 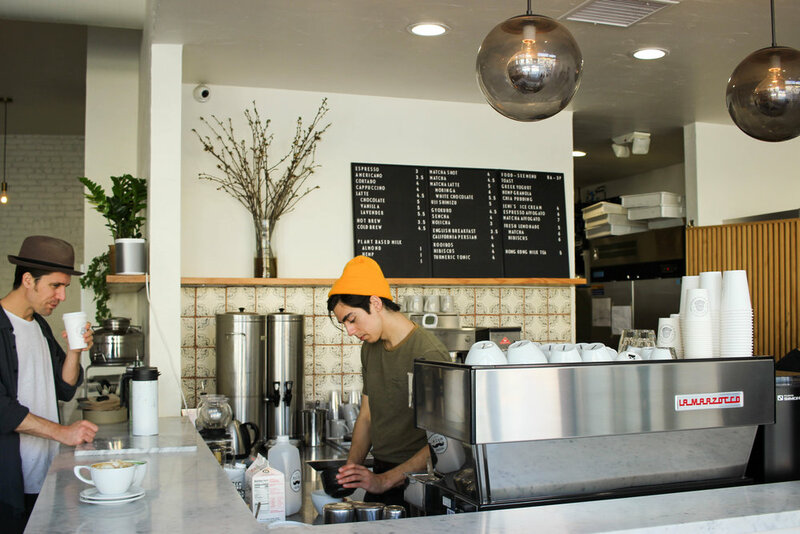 Being a Food Tour Guide in San Francisco, I’m pretty much a personal Yelp service for many of my friends and distant acquaintances who live in the Bay Area. It brings me great joy to share my favorite places to dine. There is simply too much good food in SF to not have a great meal. I’m a Nor Cal girl through and through, but with so many friends and family members living in Los Angeles, I make a trip down to the sunnier half of Cali at least once a year. So while I’ll never become a Dodgers fan (#beatLA) I’m starting to enjoy exploring more of the metropolis of LA. This food guide is something I put together from my most recent trip to Los Angeles that I took with my dad. We only had 4 days of exploring and eating to do, so this is by no means a complete anthology of the great cuisine of LA. Venice, or Venice Beach, is the second most visited tourist attraction in Los Angeles, only second to Disneyland. This beachside town is literally jam packed with all sorts of eccentric artists, tourist stands, skaters, and homeless persons. It’s where Jim Morrison and Ray Manzarek of The Doors got their start, and the 60’s vibe lingers to this day. 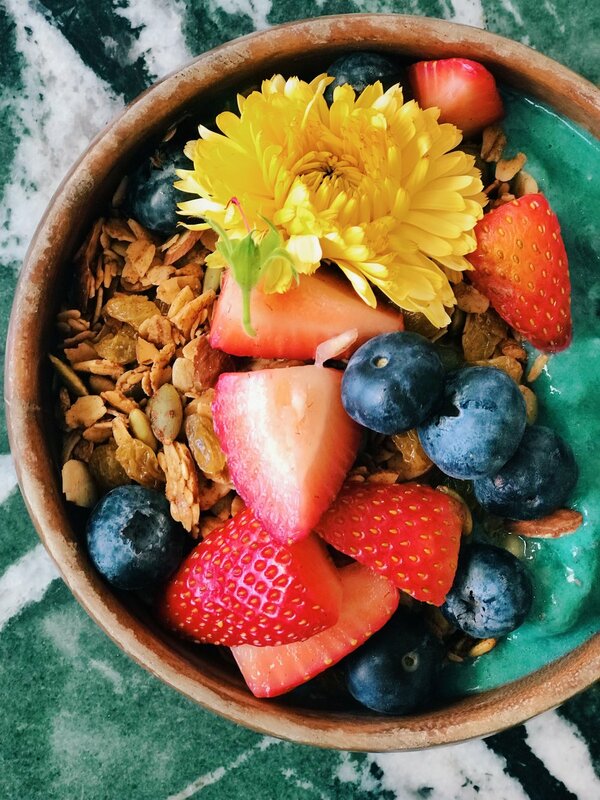 With the sunshine and beach lifestyle here, it’s no wonder that the surrounding restaurants are privvy and catering to the current health food trends. So I retract my original statement and say instead that a meal doesn’t get more Californian than THAT. “You are glorious,” the waitress gently spoke back to me. “You are cool,” she spoke as she wrote down my second menu order. “Thanks?” I responded confused with a tilt in my head. If a menu listed as affirmations doesn’t annoy or confuse you, then you will immensely enjoy a meal at Café Gratitude. Yes, all of the food here is vegan. It is also 100% organic and plant-based. But vegan does not have to equate to bland or boring. The “Glorious” was a blackened tempeh Caesar wrap. It has incredible flavor and texture and I loved the coconut bacon, cashew Casear dressing, and vegan brazil nut parmesan it came paired with. The should probably have called this “inspired” because I felt inspired to make this at home. The shake we shared reminded me a lot of the healthy mint smoothies that I make at home, but sweeter and creamier thanks to the addition of cashew coconut ice cream. The shake also had kale, mint, cacao nibs, and almond milk. So rich and delicious, I’m glad we shared one serving. Also, just to demonstrate to my dad that vegan desserts can also be delicious (a common misconception), we shared “Awakening” or the Key Lime Pie. The creamy avocado and lime custard with coconut meringue and pecan lucuma date crust made me forget that this dish was completely vegan. Matcha is IN right now in LA, so I went to this highly recommended café in Silverlake to get an almond milk (I'm lactose intolerant) matcha latté. I’m fascinated by how trendy matcha has recently become in the US, even though its cultivation and consumption began in the Tang Dynasty in the 7th Century. Why are people drinking matcha now? My guess is because matcha provided a caffeine kick like coffee does, with additional health benefits. 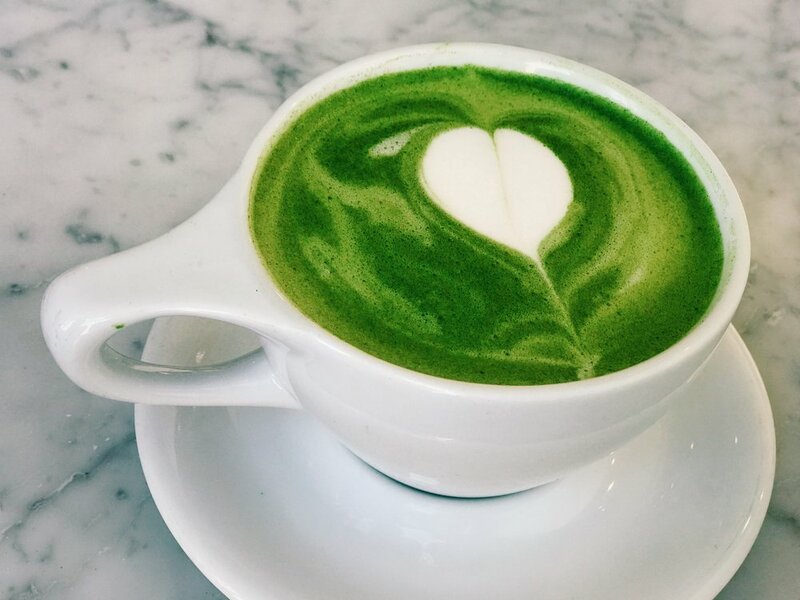 Matcha is high in vitamins, minerals, and antioxidants, and is connected to better cardiovascular health and lower blood sugar. I don’t drink coffee, but after tasting this latté I can see how this beverage has become an attractive alternative for coffee lovers. This was hands down the best meal I had in LA. 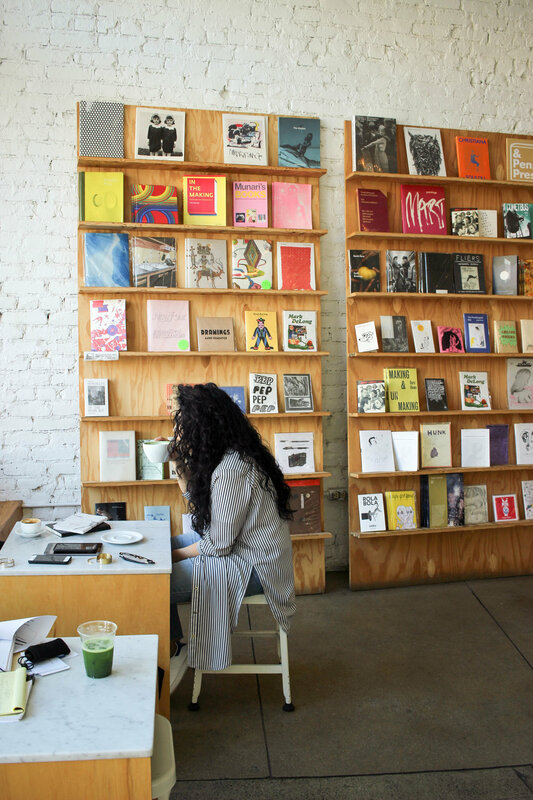 Botanica is a restaurant/store/coffee shop/bakery located in Silverlake, arguably the most hipster neighborhood in LA. It is open for every meal of the day, but many locals just come in to grab their morning coffee and freshly baked, homemade bread. 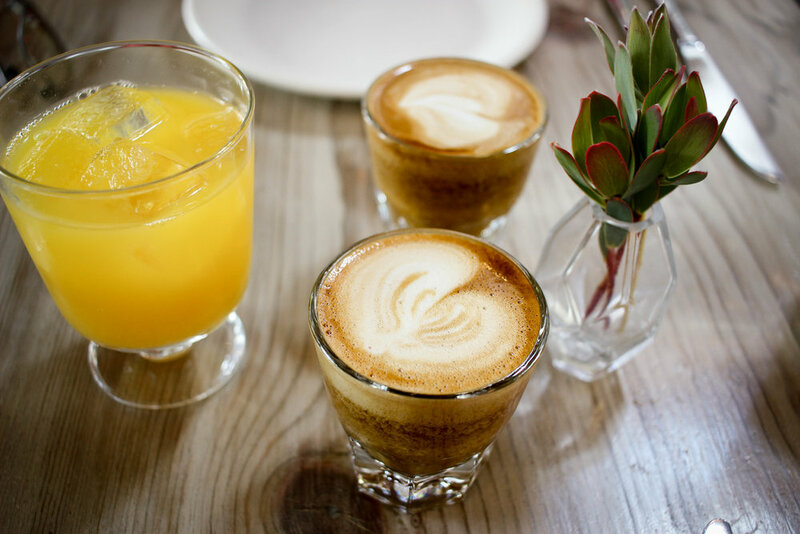 If you are going to order a caffeinated beverage, then order the Vanilla-Cardamom Latté with homemade cashew date milk. It is simply out of this world. We shared one latté between the two of us. Botanica offers California cuisine with hints of Lebanese flavors by incorporating ingredients such as aleppo butter and dukkah. 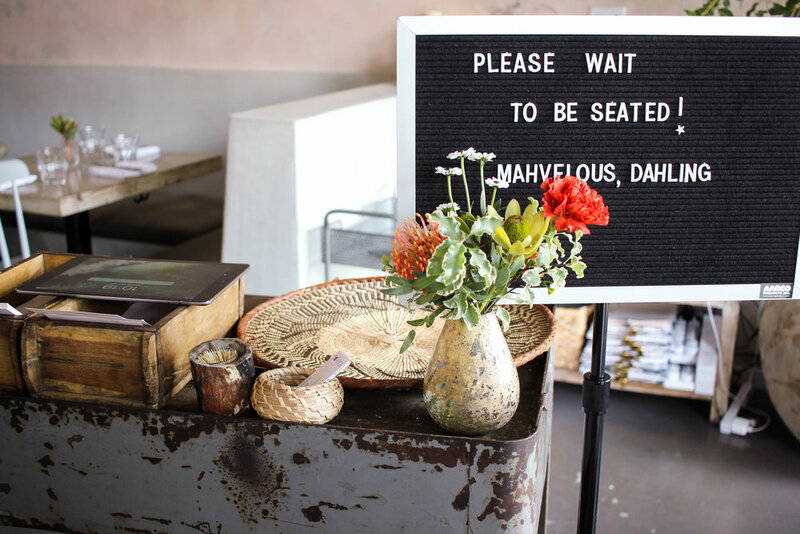 The food is super fresh and greens are the star of the show. Never before have I dined at a brunch spot (that wasn't a salad bar) where most plates were at least half way filled with fresh greens. Perhaps even more miraculously, Botanica doesn’t add ANY refined sugars to their recipes. 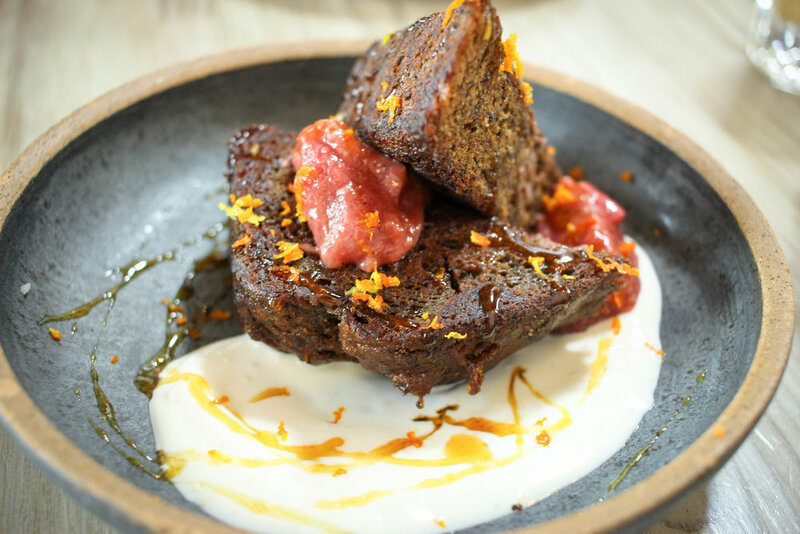 Even their homemade, gluten-free banana buckwheat poppy seed bread toasted in ghee and paired with citrus-ginger-cardamom yogurt and rhubarb compote (pictured right) has no refined sugars. Next, we shared the morning mezze, which is a compilation of housemade butternut squash hummus, roasted beetapple-radish salad with dukkah (nuts, seeds, spices), six-minute egg with salsa verde, marinated olives, and a slice of their homemade bread. I would also highly recommend the Turkish eggs. The perfectly poached farm eggs are doused in aleppo-urfa butter, garlicky yogurt with lemony salad, charred scallions, and cornmeal focaccia. If savory breakfasts were always this tasty, I would never order French toast again. I would definitely love to come back and try everything else on their menu, including dinner service. Until then, they post some of their most popular recipes online for free, so I will get creative in the kitchen to try to recreate this insane deliciousness. No trip to LA would be complete without eating tacos. Having heard good rumors about Guisados, we ventured to their location in Echo Park when hunger struck. Guisados is unique for a couple of reasons. 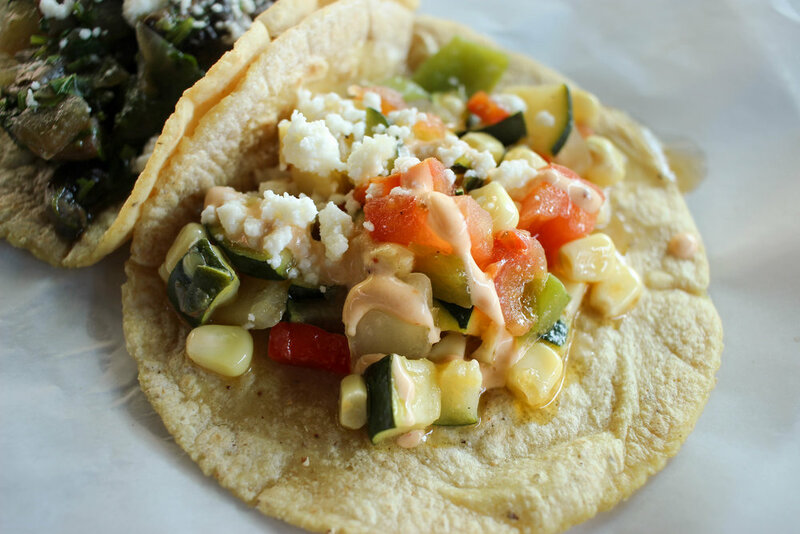 First, the corn tortillas they serve are freshly made to order. 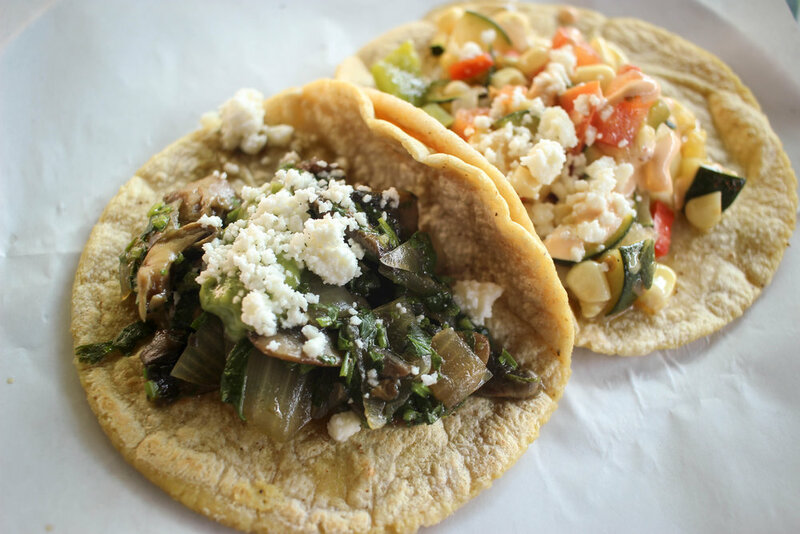 Secondly, while they are also known for their homestyle braises, they also have really good veggie taco options. We shared the calabacitas (squash) and hongos (mushrooms) con cilantro. One tacos costs $2.75, so I’d recommend trying a few. 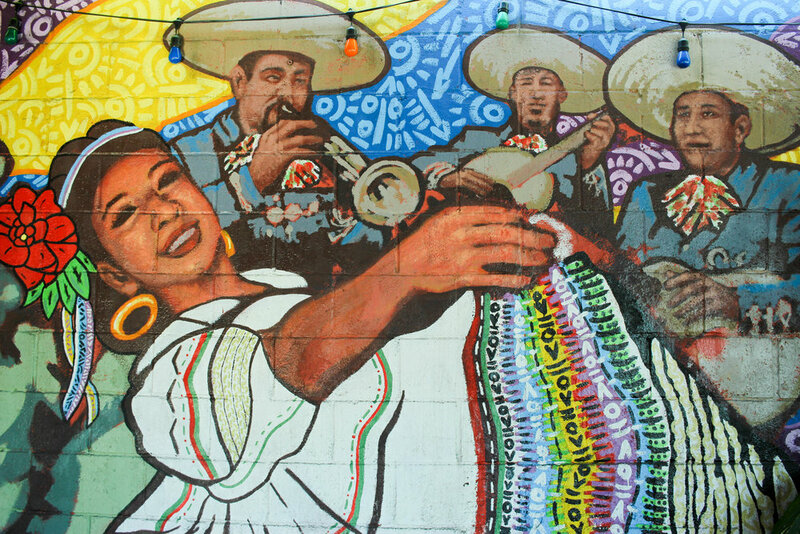 If you can’t make up your mind, check out this list put together by LA Magazine which ranks all 15 of Guisados tacos.